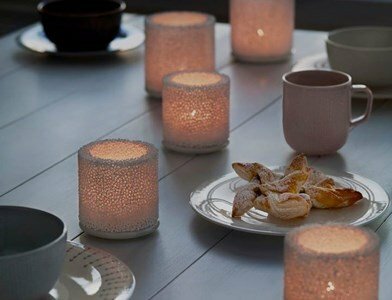 Nathalie Lahdenmäki designed for Iittala the Fire candlesticks .... From ice was born... Fire! Eager to recreate the ice lanterns that adorn the Finnish houses in winter, Nathalie Lahdenmäki used the foam ceramic and gave it a new direction. A fascinating and unique combination of ceramic and fire that results like no other. 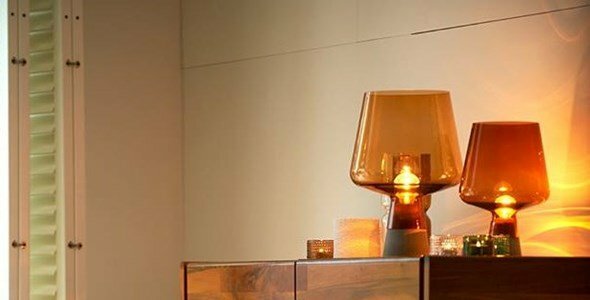 Delicate and comforting, Fire brings you a relaxing atmosphere, every day of the year.